Nu Image were, at one time, kings of low-budget action / sci fi cinema. In the 90s, they made the “Cyborg Cop” series (well worth checking out) and lots of others – see their work here – and seemed to be happy in the shallow end of the pool until 2008 or so, when they made the last “Rambo” film. Now, they’re the people behind “The Expendables” and “Olympus Has Fallen”, but luckily their fame hasn’t gone to their heads and they’re still able to knock out films like this. A comet which is due to come fairly close to Mars veers way off course and actually hits the red planet, which causes all sorts of problems, including (perhaps, most importantly), a “gravity funnel” which will wipe out all life on earth. 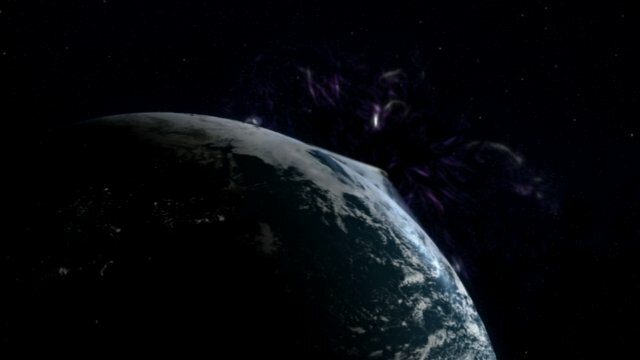 This gives us a group of people trying to solve the problem – all those NASA scientists, along with a couple of kooky theoretical physicists they bring in – and, in the B story, a small-town Mayor and his family, his brother being an autistic savant with a computer full of amazing calculations and an online friend at NASA. The difference between this lot and Asylum is immediately apparent, in that this has humour in it. One of the physicists is Gigi Edgeley, better known as Chiana, the blue woman from “Farscape”, and not only is she given funny-ish lines, but there’s a running joke where she’s wearing different clothes in every scene she’s in; and the son of the family reminds me of Dan Byrd from “Cougar Town”, cracking wise at all times. The brother realises he has to get to the space centre at Houston and save the day, and that race, along with the race at NASA to solve it themselves, is the main narrative driver, plus we’ve got the son and his new girlfriend, the Dad’s new wife and her struggles to fit into the new family, and so on. It’s surprisingly full of stuff, which makes a refreshing change. Plus, they have some fun with the altered gravity on earth, by having someone surprised at how much weight they’ve lost, two people picking up and throwing a car, and so on. 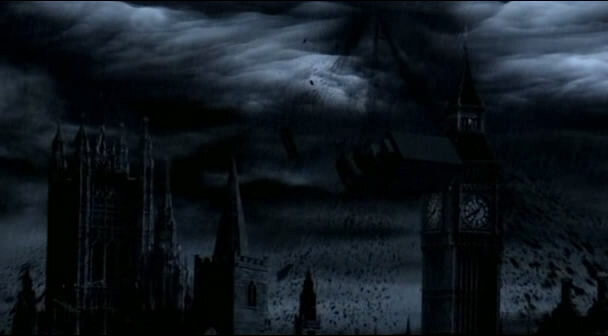 One weirdly clever thing this film does is shoot footage in what looks like a real disaster area, with members of the cast clearly not on green screens while there’s real hurricane and flood damage all around. Not sure if they got lucky, or if there was some destruction near-ish to their studios so they quickly wrote a film to go with it, but it makes the film look a heck of a lot more expensive than it probably was. Both the President and the Mayor have very attractive, much younger wives, which is either an indicator of directorial fetish or a happy accident. The Mayor’s wife, Lynne, is played by Stephanie Jacobsen, and she’s so distractingly beautiful that I found their relationship a little unbelievable. I just don’t buy that women like her exist anywhere outside Hollywood parties, but this could just be me. Anyway, she’s lovely but has very little to do other than look vaguely grumpy that her husband is off saving the world and none of his kids like her very much. The world isn’t going to be destroyed, of course, but the way this film finds of solving the problem is pretty interesting, and elevates what came before it I think. Just, not quite enough. 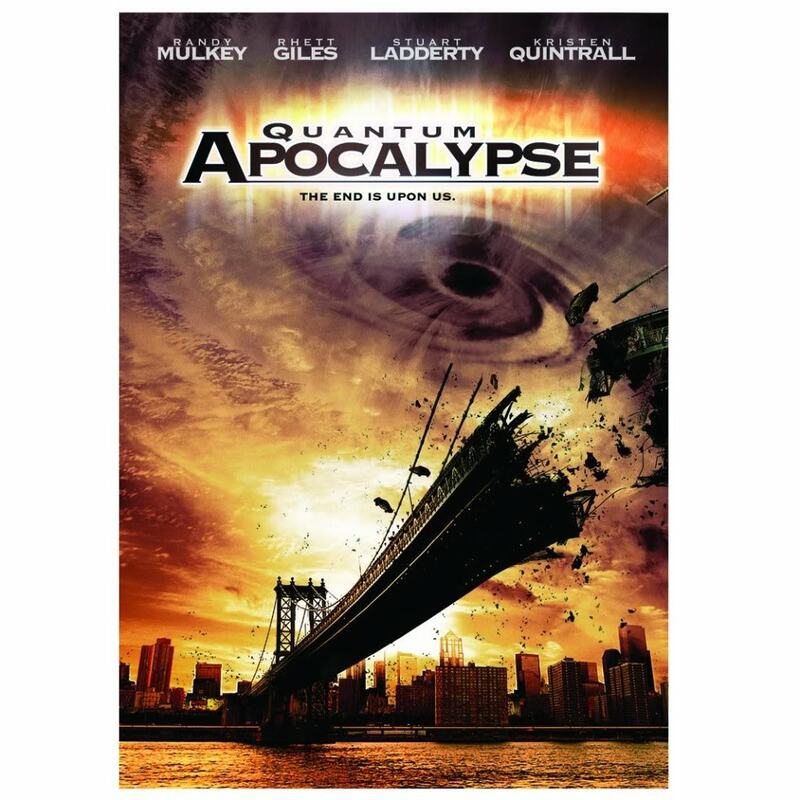 It’s a fairly fast-paced film but when you think about it, there’s a lot of filler – the two sides of the story have zero links until the last few minutes; and the B and C stories would be okay in a TV show but feel a little out of place in a film called “Quantum Apocalypse”. I reckon you ought to give this a go. It’s a lot of fun, if the plot drags you can stare at the pretty people (all of whom remain respectably dressed throughout, by no means a given in films like this), plus there’s a lot familiar faces if you’re a fan of sci-fi TV. When you see a film with a title and cast like this, you kind of know what you’re going to get, and this has a little of the fun of the mid-90s B-movie sci-fi era about it. EDIT: searching for this film on Google may lead you to http://www.quantumapocalypse.net , which is the name of a product for shining leaves. That has to the oddest name for a product I’ve ever heard, and my hat goes off to them. This entry was posted in Reviews and tagged Gigi Edgley, Not SyFy, Stephanie Jacobsen, surprisingly good film. Bookmark the permalink.